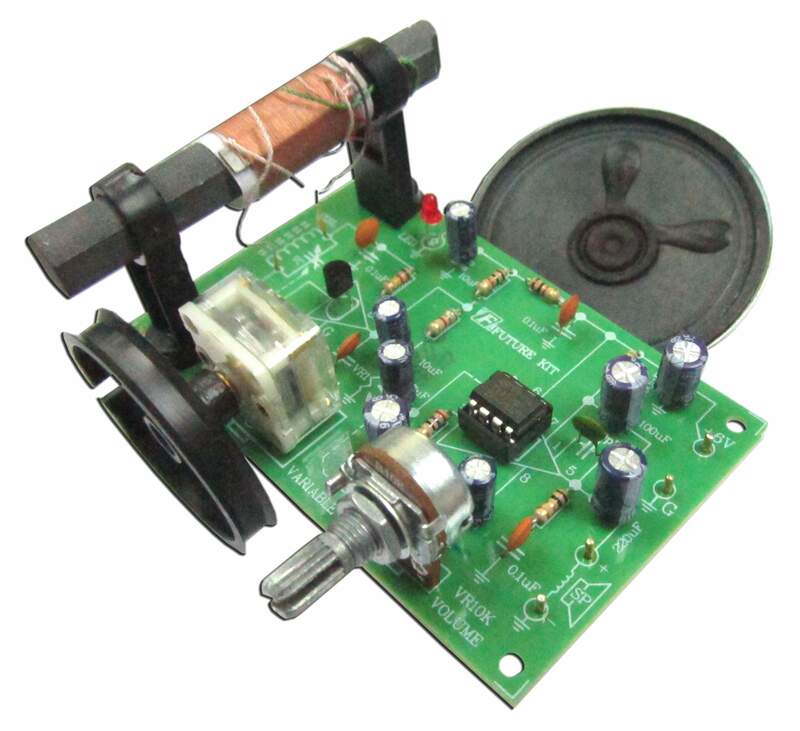 FK713 This kit creates an AM Radio IC Receiver Experimental Board with Speaker. A great circuit that is suitable for educational use. By utilizing a single IC TA 7642 to carry out both tuning and amplification of AM radio frequency, the construction time for FK713 is reduced to a minimum. This AM receiver is ideal for a class-room project when connected to the supplied speaker. If more output is required many audio more powerful signal ,amplifiers from the Future Kit series can be conveniently applied. : 6 VDC supply VDC.